This seemingly easy task took me literally two hours to figure out: Back up an Android phone’s contacts to a gmail account. My phone is an LG Optimus T – very nice phone in my opinion – but its user manual doesn’t even talk about this. There are numerous discussions on Android forums, unfortunately none of the “tips” or “solutions” worked for me. So I thought I’d share my experience in case someone is looking to do the same. Now go to your Contacts, Menu, Accounts. Select the Gmail account and click Menu again. Then tap Sync Now. Now you can delete the contacts from your SIM card, leave them as backup, or even export them to a SD card for yet another backup. 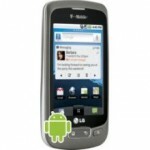 Keep in mind that the instructions above are based on an LG Optimus phone. If you have a different phone or use a different Android version, the menu or items may be different too. For example, here is how I sync’d contacts on a Google Galaxy Nexus phone running Android 4.0. I guess this is the drawback, among numerous benefits, of an open source operating system. Another popular online backup option is to go with your carrier like Verizon, AT&T or T-Mobile, but it may or may not be free. If you don’t trust the “cloud” stuff, you can always save all your contacts to the phone’s flash memory card, usually a micro-SDHC, and then transfer them to your computer via USB or bluetooth. Either way is better than losing your contacts by accident, and scrambling to recover them. Thank you, thank you, thank you! I. Have been wondering and trying to figure this out for far too long. You’re AwEsOmE!!! I knew my two hours of frustration and hard work would help someone 🙂 Thanks for letting me know. Yes indeed, this is the way to do it! I use Nitrodesk Touchdown for my EmailCalendarContact ( ECC ) solution on my 2.4 Android device and have never been able to see my contacts via Gmail…not a problem anymore, thanks to you!!!! Now if I could just automate what should already be automatic!!!! Thank you very much. This worked for my Samsung Infuse wonderfully. Any idea on how to sync them back to the android phone from the gmail account once a factory reset of the device has been done? My understanding is that if you do a hard reset, it returns the phone to factory state which is older than the last time you sync’ed with Gmail. So when you set up Gmail sync again after the reset, your contacts will/should be copied back to your phone. But I never tried it so am not 100% sure. As a comparison, if you delete all contacts on the phone while sync’d, your contacts stored in Gmail will be deleted also. Keep in mind that we’re talking about Contacts tagged with “Google” only. To be safe, backup your contacts to a third location and/or set up Gmail restore point just in case. Thank you so much for giving such a wonderful tip. I have been struggling for a long time now to find a solution for this problem, having to sometimes do it manually. Thank you, thank you, thank you – sorted my Galaxy S2 right out! I think i have finally sorted, merged and saved my contacts so my phone is not flooded with addresses of people I bought something off on eBay three years ago. Extremely useful guide – thank you again! Now you have the current phone contacts backed up to your Gmail. You can do this periodically to update your contacts. I Follow the same steps as defined by Claire. the VCF file only contains one record. All contacts are selected, but still only one record is exported. I also exported a vcard file and copied it onto my computer. Then imported into Outlook. Only one record is in the file. I have been trying to sync my gmail contacts onto my new mytouch phone but when i go to the accounts and sync settings and i click on add account and i enter my gmail and password, it takes me to the server settings that requests for my domain/username, password and server name. I click NEXT and i get an error message that states that SETUP COULD NOT FINISH-‘UNABLE TO OPEN CONNECTION TO SERVER’. I need help to sync my contact from gmail. Standing by for your assistance. Sorry, not familiar with MyTouch. Hopefully someone with the exact phone can help you out. But make sure you are not setting up sync through the exchange server. It worked on my Galaxy-S. You saved my life as I have over 1200 contacts and could not get them to supposedly autosync with gmail. FINALLY someone has an answer for this that actually works!!! Thanks so much for the info! Worked on my incredibly poor HTC Incredible. couldn’t get any proper sense out of google forums etc. Cheers for taking the time to help us out. Thanks a lot. Your 2 hrs. hard work + sharing, saved precious time of so many. It worked on my idea aurus (alcatel 985n). Please keep sharing such information and hard work. Hi, I did as you said and I copied my sim card contacts. What about my phone contacts (i.e:saved in the phone not in the sim card)?they are saved on the phone and I wanna move them to gmail. Is there a direct way to sync them, better than Claire’s one? I want to them to be everyday syncronized with gmail. This is just guessing, since I don’t have any contacts stored directly in the phone: Can you export those “phone” contacts to SIM card first, and then follow the steps above to sync with Gmail? There is an option to export to SIM after you tap on Import/Export, and you will be able to select which contacts to export on the next screen. Please let us know if it works. Many hours I’ve tried to sync them. I have tried this on my HTC wildfire S but it is not working. One more thing I also lost some of my recently save contacts while syncing with either PC or gmail. Thank you very much. My Samsung Infuse was not syncing, and when I had to change the SIM card, I thought many of my contacts were lost. Turned out I had backed them up onto the SD card, and with your help, I got them back, and they are now talking to Gmail. Not even Gmail itself had as good an explanation as you. Thanks dear, I have copies my all contacts to SD Card and that file I have saved in my gmail account. but still thinking about syncing..!! much easier steps to follow than other resources! Please my first gmail account can’t open again so what should I do? The account name is eveben****@gmail.com kindly help me need to do some works please. Thanks. i am very grateful to you for publishing this. Would like to convey my sincere thanks. Now i will no longer lose my contacts. Thanks! Thank you so much!! You are the only one who has revealed the underlying requirement to assign a type to the contacts in the list in order for sync to work.